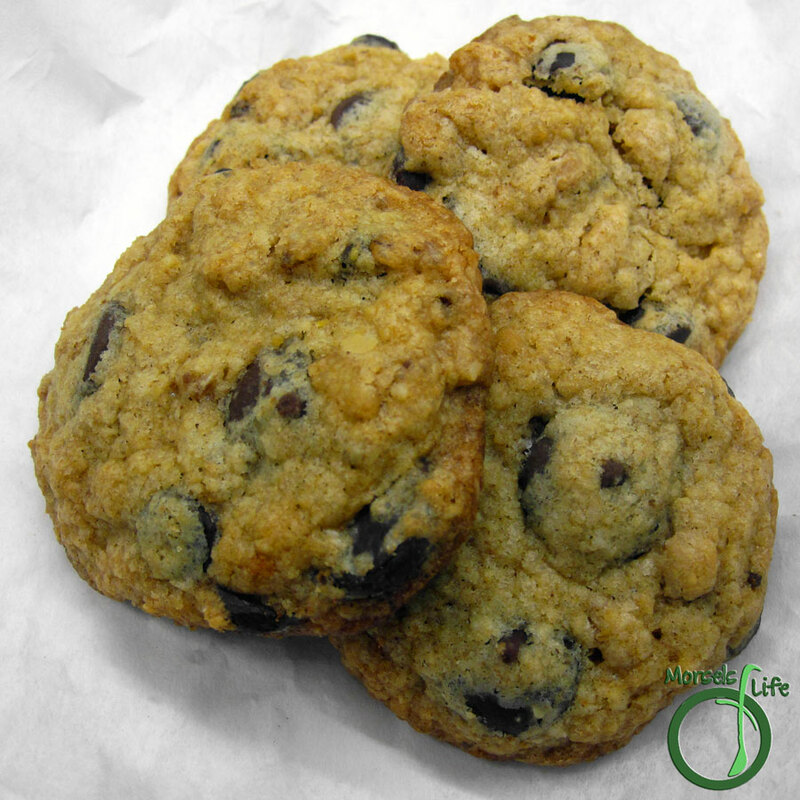 Chocolate chip oatmeal cookies with surprising bits of crispy crunch mixed in. We were having a cookie swap at work, so I needed to make some cookies - prize money was at stake! After browsing through several cookie recipes, I finally settled on this recipe from This Week for Dinner. The crispy crunch sealed the deal. How could you resist soft cookies with a crispy crunchy bite? You satisfy both sides - those who prefer crispy cookies and those who prefer soft cookies - at once! Although these cookies turned crunchy after cooling down, we really liked the taste and soft crunchiness of these cookies straight out of the oven. Give these cookies a try and see what you think! Which team are you on - Team Crispy or Team Chewy? Form Wet Team by creaming sugars and butter and then beating in eggs and vanilla. Form Dry Team by mixing baking soda, flour, and oats. Combine Wet Team and Dry Team, then stir in crispy crunch and chocolate chips. Scoop cookies onto a baking sheet and flatten slightly. Freeze or refrigerate for at least 60 minutes. Bake at 350F for 12 minutes, rotating pan halfway through. CJ I had such a great time browsing your recipes this month for SRC and I absolutely loved these cookies! Interesting! I bet the crispy crunch really makes these unique and amazing. Thanks for sharing on the Waste Less Wednesday Hop! Looks delicious! Thanks for linkin' up with What's Cookin' Wednesday! Thanks for sharing your cookies at the Great Cookie Exchange!